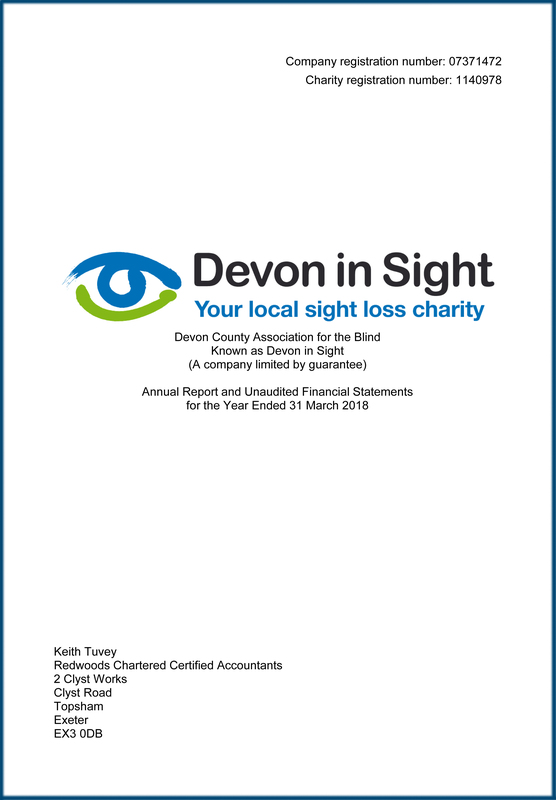 Devon in Sight’s Trustees’ Annual Report helps people understand what our charity does, particularly potential funders and beneficiaries. This is a legal requirement as Devon in Sight is a Registered Charity in England or Wales. By law we must also report how we have carried out our charity’s purposes for the public benefit. This helps people, including funders and beneficiaries, to understand why our charity does what it does.